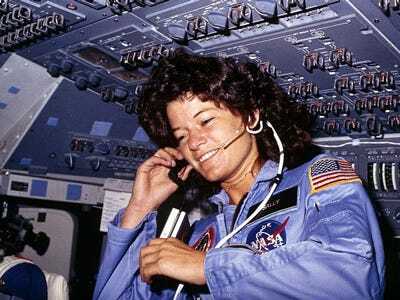 Sally Ride, the first American woman to fly in space has died from pancreatic cancer, her website confirms. She was 61. Ride is famous for becoming the first American woman to fly in space when the shuttle Challenger launched on June 18, 1982. Two years later, she flew again on the Challenger for the 13th shuttle flight. Ride left NASA in 1987 to teach physics at Stanford University and then at the University of California, San Diego. She founded Sally Ride Science in 2001, which creates classroom materials and training for teachers in science, technology, engineering and math.